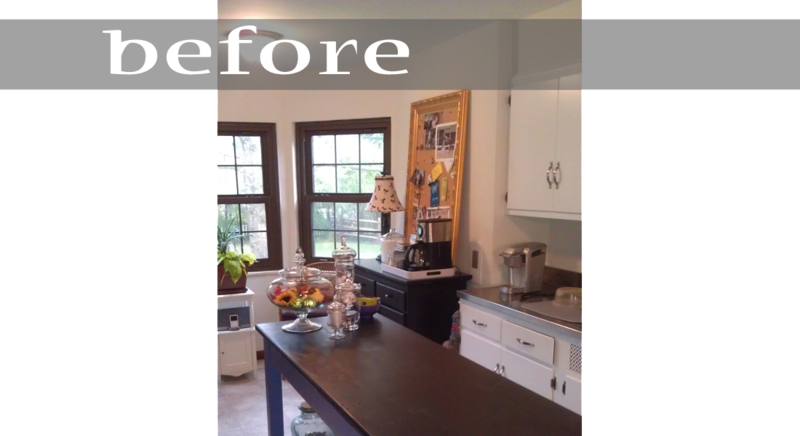 The 50-year old stone ranch this couple bought, just outside of the center of a historic town near Columbus, Ohio, was solidly built, but woefully outdated. 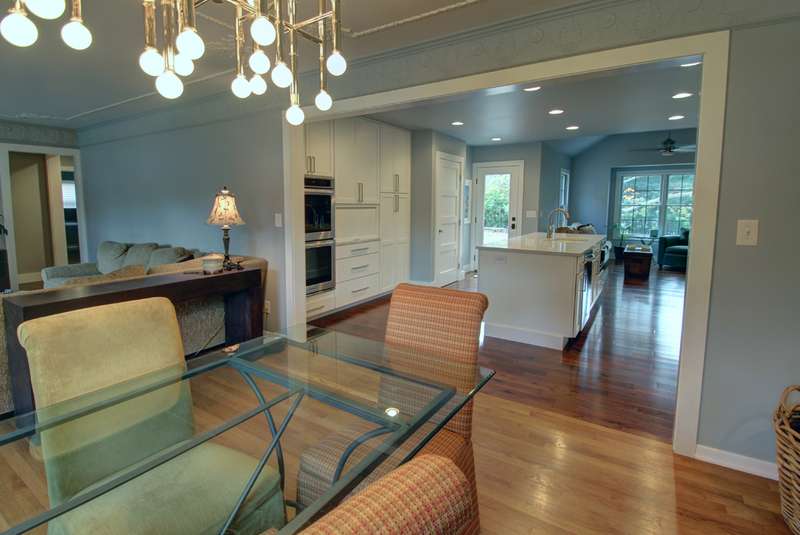 Still, the character of the small-house neighborhood and its location near a walkable town center was worth making the move – especially once this ranch master suite and kitchen remodel were completed. 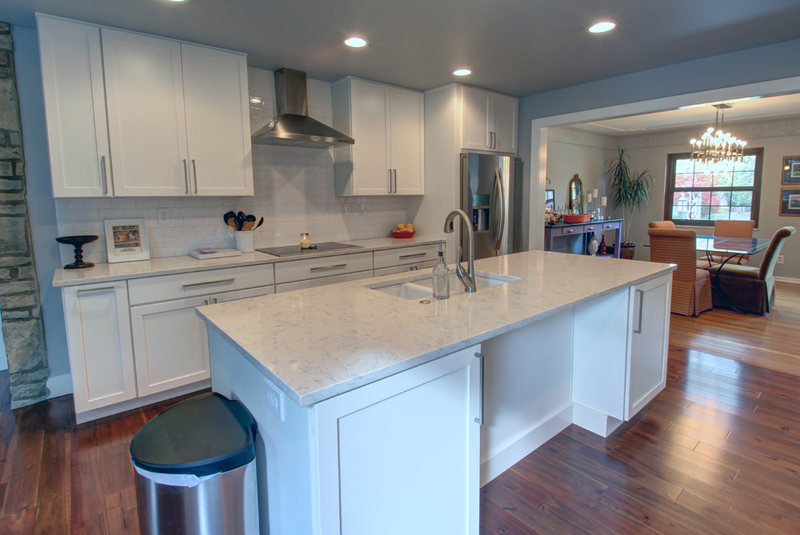 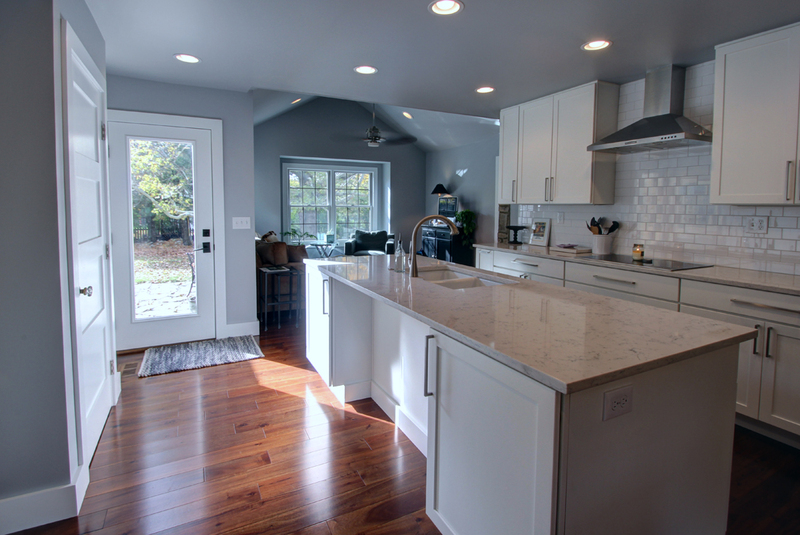 Our remodeling/addition plan was designed to move forward in two phases, but after reviewing proposals from several contractors, they decided to complete it all at once. 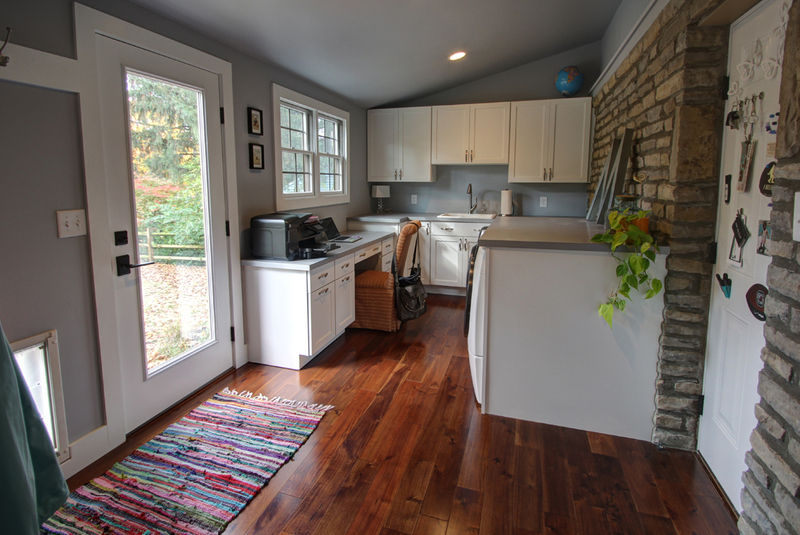 The existing narrow kitchen was widened by relocating the basement stair, and extended with a small addition. 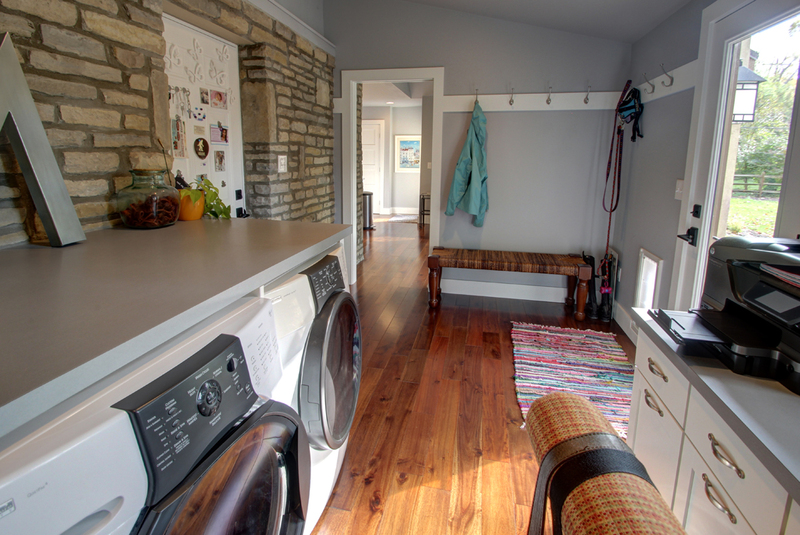 That addition also created space for a laundry room/home office/family entry with a door to the backyard and a dedicated dog door. 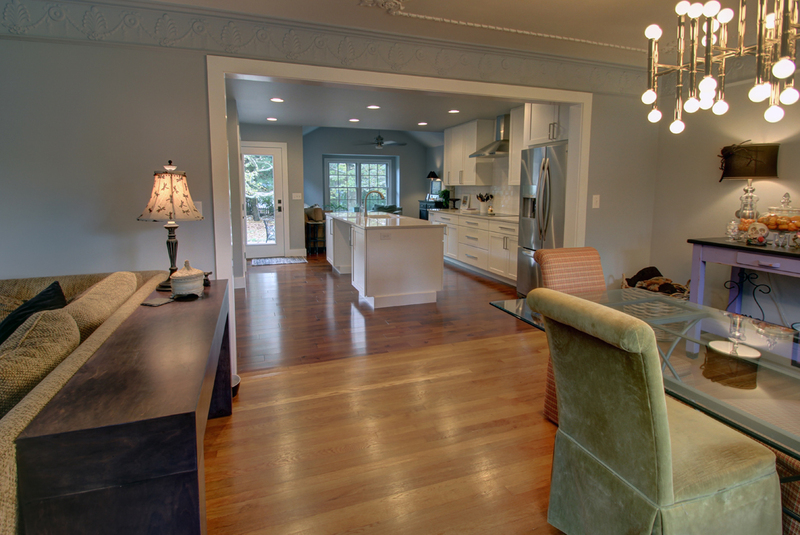 And the tiny opening between the existing kitchen and dining room was made much larger – connecting the two spaces and making the “formal” dining room much less so. 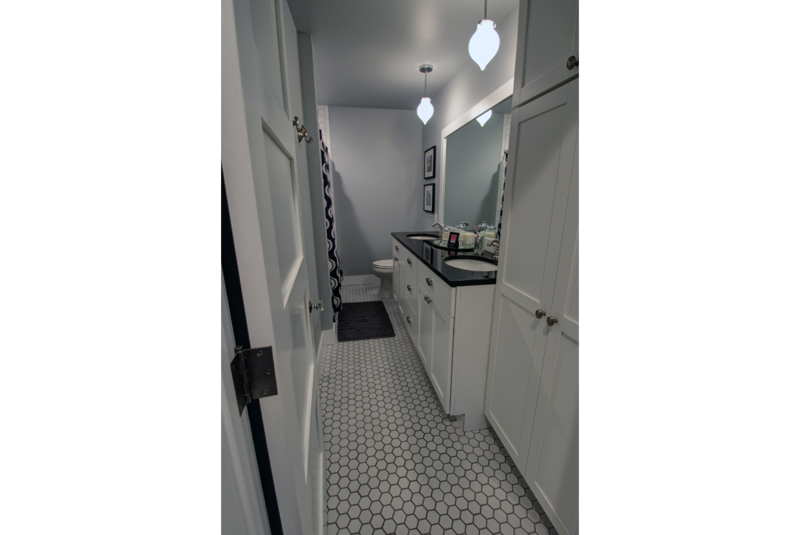 Another small addition to the rear holds a new master bedroom; the existing bedroom space became the master closet and bath. 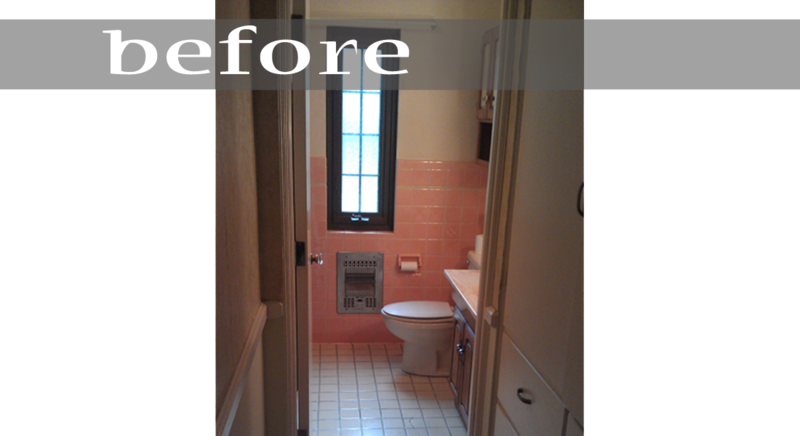 One of the most dramatic changes is to the hall bath – yes, the pink tile had to go! 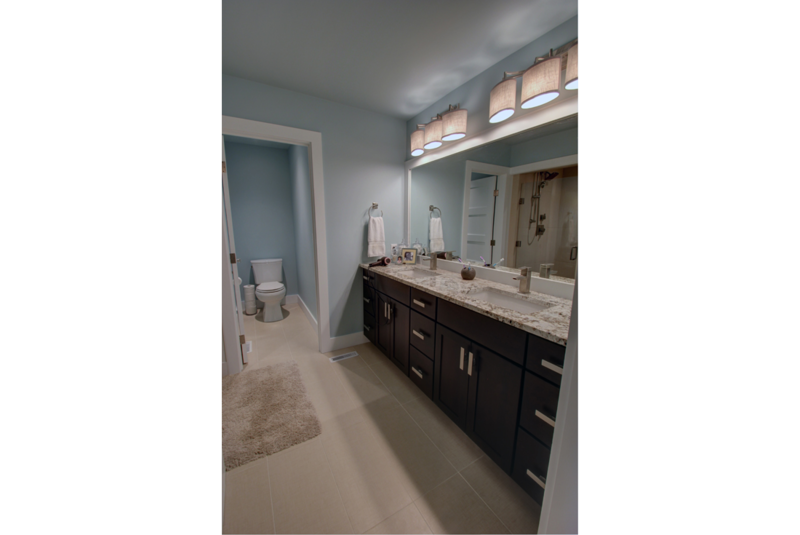 But in its place, new fixtures and finishes resulted in a very attractive and very functional new bath. 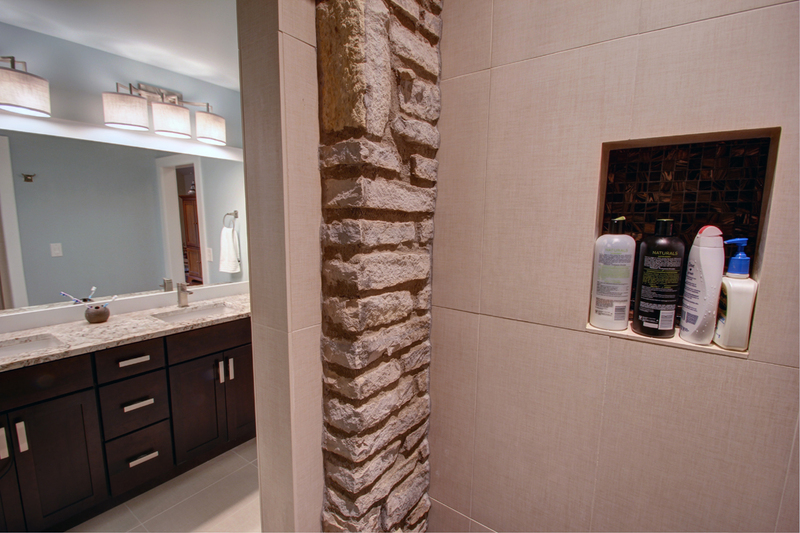 Our favorite detail was keeping the existing exterior stone wall as a feature in several new rooms – including a bit of stone in the master shower. 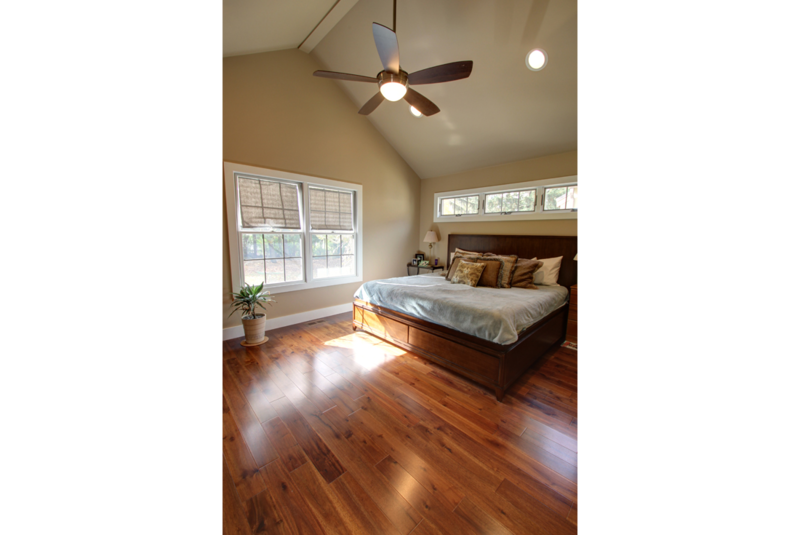 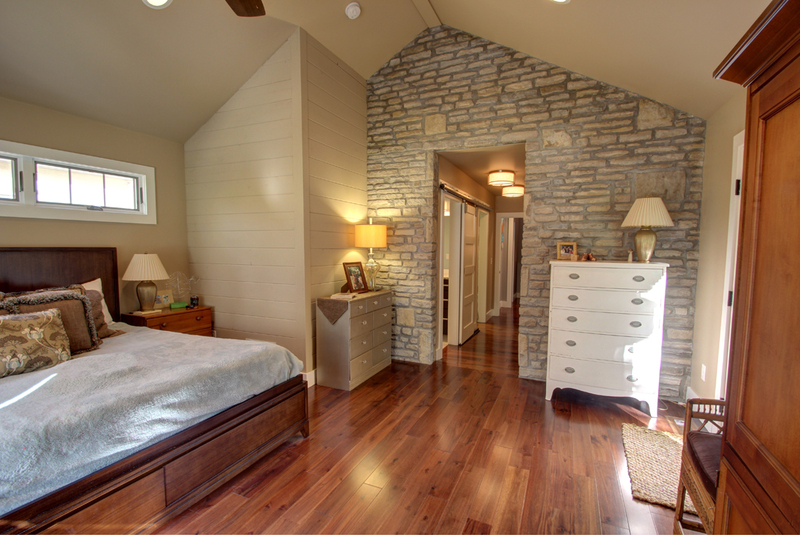 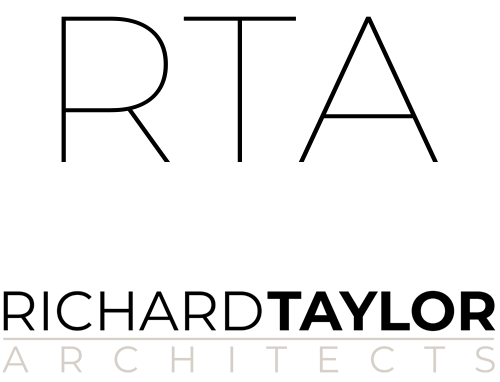 Contact me to schedule an initial consultation on your ranch master suite and kitchen remodel project.